It’s been a great week for LeBron James. His Cleveland Cavaliers became the first team in NBA history to win an Eastern Conference Finals series in just one game. On top of that, GQ Style interviewed his longtime friend and manager, Maverick Carter, and it was sort of revealed that James’ recently signed lifetime Nike contract is worth somewhere around $1B. Not bad for the greatest basketball player of his generation who’s constantly scrutinized for every decision he makes. It’s not a surprise that Nike would lock James down for a mega contract that goes past his playing career. He’s a dynamic personality who’s been proven to move the needle—and ​product—for the sportswear brand. But the deal, according to footwear industry experts, isn’t as clear cut as everyone thinks. Nike won’t just cut James a one-time check for $1B and call it a day, which has had people speculate if he’ll actually make that much money from the brand. “The deal is likely a percentage of sales arrangement, much like [Michael Jordan] has now,” Footwear numbers expert and Sports Industry Analyst for NPD Group Matt Powell says. Jordan made more money last year alone than he did in his entire playing career. He’s been on Forbes’ billionaire list for two years in a row, and it was stated that Nike hopes to grow Jordan Brand to a $4.5B business by the year 2020. Simply put, Jordan is rolling in the dough like Scrooge McDuck. But could James ever be in the same situation as Jordan? According to Powell, to have a billion-dollar deal, “LeBron would have to sell more pairs in retirement than he did as a player." Currently, James, who is on his 13th signature sneaker with Nike, is projected to sell $150M worth of footwear this year. Steph Curry, who’s signed to Under Armour, is said to be on track to sell $160M. If LeBron is selling that many sneakers in one year during his playing career, it’s going to take a massive push from Nike after his retirement—he’s currently 31 years old—to make a billion dollars. This means the brand will have to continue his line, much like it said it will do with newly retired Kobe Bryant, and retro his past sneakers, too. I’m not doubting that James can sell quite a few sneakers. His crossover/mainstream appeal is huge, even if his more-recent shoes have been lackluster to say the least. Athletes have been proven to be the best spokespeople for the footwear industry. 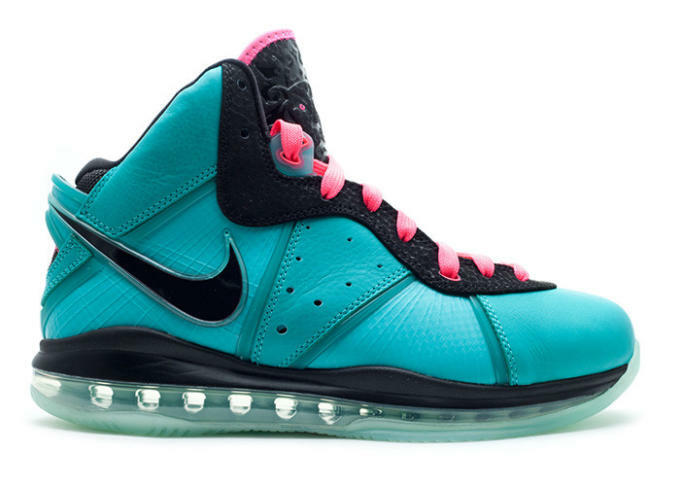 And if Nike were to re-release sneakers such as the “South Beach” LeBron 8 or his first sneaker, the Air Zoom Generation, it’s feasible that these shoes will sell by the boatloads. 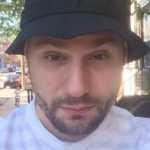 Nike likely isn&apos;t paying James strictly based on sales of his signature product. He’s involved as the face of Nike campaigns, he does tours for the brand and hosts camps. He’s just as much of an ambassador for anything with a Swoosh as he is a shoe salesman. James’ influence on Nike is just as big as him moving footwear units. 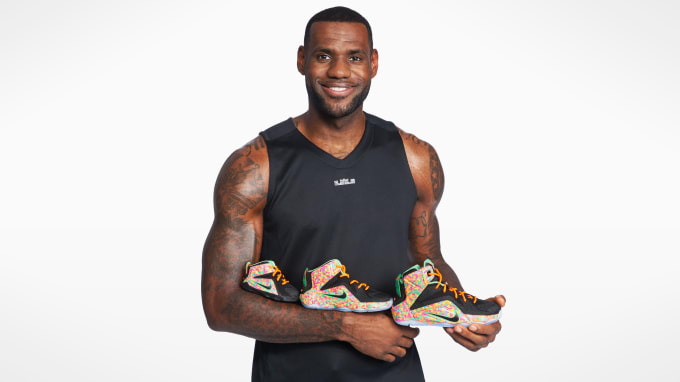 People buy Nike product because he’s connected to it, even if it’s a pair of sneakers that doesn’t have “LeBron James” stamped on them. This has to figure into Nike’s view of how much he’s worth to the brand, beyond the profits of signature sneakers, T-shirts, and apparel. 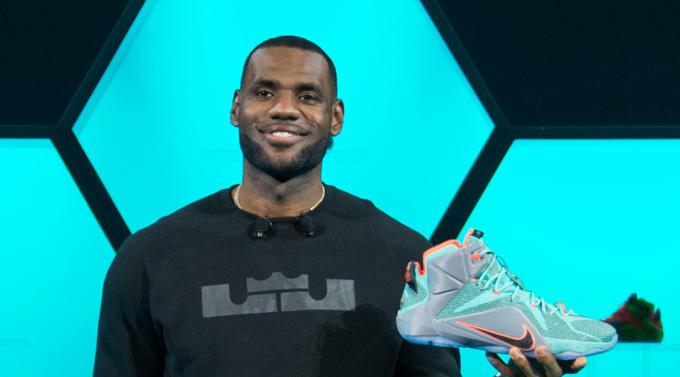 Nike’s paying LeBron James to be, well, LeBron James. Not having him aligned with the brand would hurt them more than the alleged $1B they’re paying him. People shape their perceptions on athletic brands not only on how the shoes perform, but also on who’s associated with the company. Think Under Armour would be giving Steph Curry equity in its brand if he wasn’t boosting sales by an astronomic percent? Think again. Nike has not disclosed any of the true financials or terms to James’ deal, and it’s likely that the brand never will. By Powell’s logic, James will have to transcend into a Jordan-like persona when he retires, where people who never saw him play are still attracted to his sneakers, and by the droves. Will people clamor for retros of the LeBron 12 and 13? Only time will tell. But that’s all future speculation. James has a lot of playing to do in his NBA career, which will only bolster his legacy on the court and, surely, with his sneaker line. He’s also setting himself up to be this generation’s Jordan, too—not just because he’s playing the best basketball of his career, but because he’s also slated to star in a remake of the film Space Jam. What’s the best way to ensure that LeBron actually makes a billion dollars with Nike, though? It starts with him winning another ring this year and people believing he’s still the best player in the NBA.